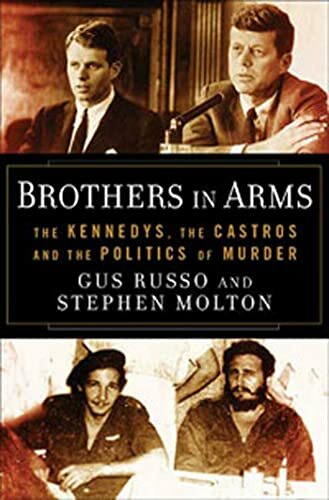 Outlines dramatic connections between the Kennedys and the Castros to pose a new theory about the JFK assassination, in a report that considers such topics as Bobby Kennedy's support of an assassination plot against Fidel Castro and the possibility that JFK's death may have prevented a large-scale war. 50,000 first printing. 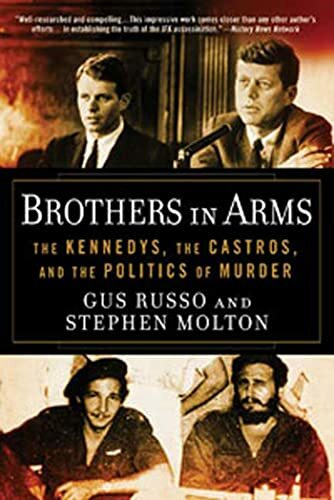 Gus Russo is the author of Supermob, The Outfit, and Live by the Sword, the last two of which were nominated for the Pulitzer Prize. He has worked an investigative reporter for PBS's Frontline, ABC News Special Reports, and Dan Rather's CBS Reports, and as a consultant for programs such as 60 Minutes, 60 Minutes II, and Eye to Eye with Connie Chung. He lives in Baltimore. Stephen Molton is the author of the novel Brave Talk. Molton adapted Russo's book, Live By the Sword as a four-hour miniseries for Showtime, and has also written films for such companies as New Line Cinema and Paramount Television. He lives in New York City and Pioneertown, California.